Fall and Winter style awaits! 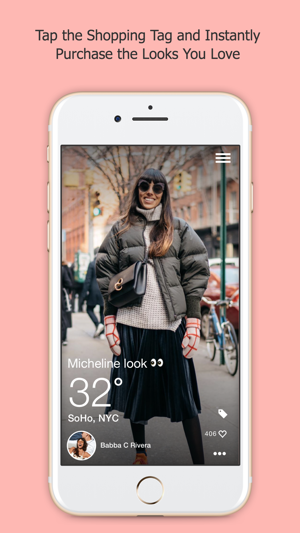 Your daily weather conditions matched to style and fashion from your favorite fashion influencers and brands. Never leave the house over or underdressed and instantly shop the looks you love. With ThreadWeather you can leave the house comfortable and looking great no matter what Mother Nature sends your way. 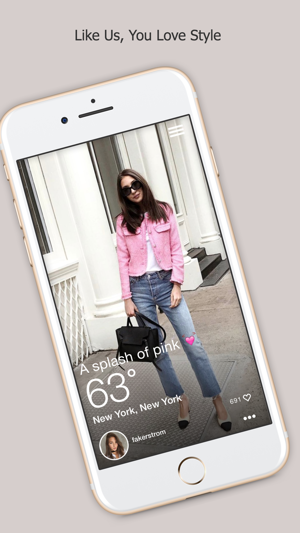 Download the ThreadWeather app, follow your favorite fashion look-books, influencers, and brands and have their shoppable looks matched to your daily weather conditions. 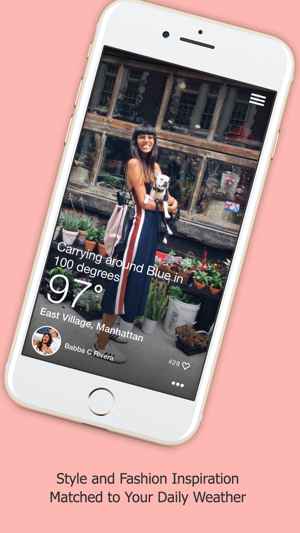 The experience is quick and easy and has the weather information you want matched to the inspiration you need and the looks are instantly shoppable. * Shop: Look for price tag icons and instantly shop the look. 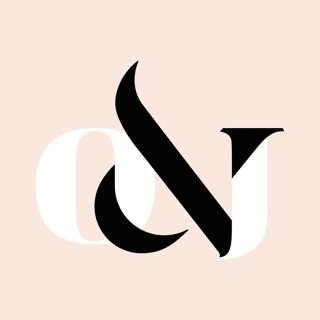 Our mission is to bring beauty and comfort to women everyday in real life. 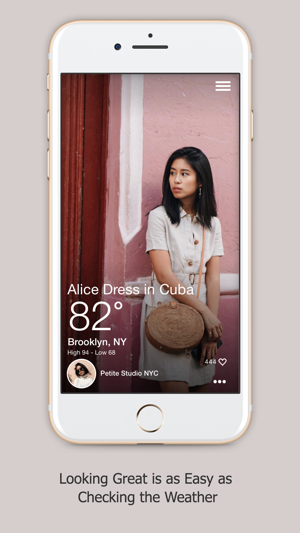 ThreadWeather is a weather inspired fashion app designed in Oakland, CA. We regularly update our app with various improvements and bug fixes. In this release we've fixed a bug that has distorted user profile pics. Get the latest version to try our newest features and to make your experience faster and more reliable. Love the app? Please rate us! Thank you for using ThreadWeather. 1 - a lot of what's shown is aspirational, not really "trending". That's ok. I'd still know what to wear by weight if I needed help with indoor wear. I don't so I use Adapt, etc for outer wear and dog walking. 2- the detail image … please don't change this since it's so excellent… the one titled Svenska style (or is it Swedish style? )… red coat, glasses that don't work with the model, or is it the angle of her head and oh-so-faux "smile"? It's awful but that's not my point. If someone wants to demonstrate an international flair, especially exotic Scandinavian- those people who look white but have been considered to be not white (true story, Nazis)- they ought to get it right. I was going to tell the devs what's so glaringly wrong but it's so simple a child can understand. I love this app! Must get! !